The key to your financial success is coalescing all of your Proven Professionals around your personal mission. This is your strategy to command, and these professionals are your team to engage. When the right team is available, good teamwork makes the difference in attaining the success you seek. It’s true in health care, where the right team can marshal the care one needs to keep, and recover, good health. For years, Northwest Quarterly Magazine has published the region’s leading Healthcare Guide to help our readers select the medical professionals they feel are best equipped to guide and implement their health care program. Recently, we realized the same approach is required of another set of professionals who can impact your life: your financial well-being, both in business and personal situations. So, in this issue we bring you Northwest Quarterly Magazine’s first Guide to Proven Professionals. 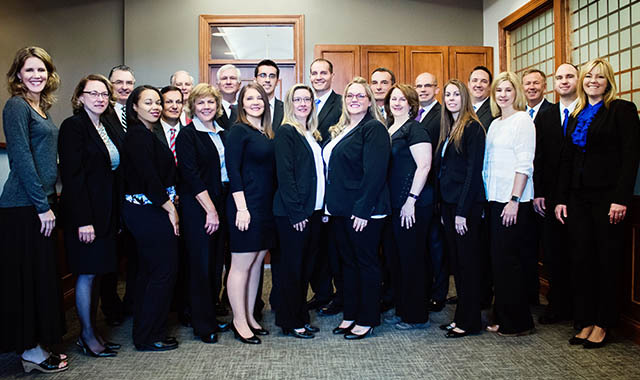 This team gathers players from the ranks of attorneys, investment advisors, insurance advisors and certified public accountants (CPAs) around our region. Together, these talented professionals can guide you through the maze of your business and personal needs. We’ve sought out some of the region’s most trusted experts – the kind whose work is sure to align with your objectives. A new page is turning in our part of the Old Northwest Territory. Whether you are north or south of the state line, a new sense of opportunity and optimism is growing in our region. Whether you are in business for yourself, or are a member of a professional team, the upcoming years could be key for building the personal and/or business success you desire. For those of you in business, a lawyer can help with incorporation, patents, the purchase or sale of a company, perpetuation of your business and much more. Investment advisors can help with employee retention by establishing and monitoring a company 401(k) plan. A trusted insurance advisor can help to mitigate business risk and provide key-man insurance – among a long list of valuable services. The current law affecting group health care plans is a prime example for the need of a good insurance advisor. The rapidly rising cost related to employee health insurance coverage is saddling businesses small and large alike. As the debate continues about a replacement, the question now is, “What will follow?” Your best course of action is a conversation to be had with your insurance advisor, which is why you need one who can help you to make the right decisions. The other important expert on every business owner’s team is a good CPA who can help your company to refine its one-, three- and five-year strategic plans while navigating complex tax laws. The input and decisions provided by these experts can have an enormous impact on your operation. This list contains, to be sure, just a few of the mundane concerns you’re likely to face on any given day. When the purchase or sale of a major asset or business is the question of the day, all four disciplines – legal, investment, insurance, and accounting – can be involved. Not to be forgotten is the personal side of the equation. No matter your age or the stage in your career, you are likely to need a reliable team of Proven Professionals. If you do own a business, how best can you pass it on to member(s) of the family or to loyal employees? Your attorney will be invaluable while navigating waters such as these. The right will or trust, created at the right time, can make the continuation of a business much more likely. In the same way, that aptly drafted will or trust will ensure that your major assets are passed on in the most efficient, least costly manner. Accidents can happen to anyone. If negligence by another person or company results in an injury to you or a loved one, that’s when an attorney who is expert in personal injury law is most important. Inside this guide, you’ll find a good number of investment advisors who are well qualified to help you in a number of ways. Retiring in a comfortable manner is one of the most strategic decisions you’ll make in your lifetime. How do you do that in the way most likely to maximize your income in retirement? How do you assure the well-being of your spouse and loved ones? When should you conduct a review of your current plan, to ensure your concerns are best handled? How does the right retirement plan allow you to transition your wealth or business to the next generation? A trusted investment advisor will help you to answer these questions and many more. The role of personal insurance in our lives is highlighted when we need it most. We all know someone who was not properly protected by insurance during some major event. The result, invariably, is not good. Insurance for your home and auto is a necessity. Depending on your circumstances, a well-designed umbrella insurance plan is essential. And individual health insurance is likely to play a greater role for many of us in the future. Selecting the right kind of term or whole-life insurance is critical to protecting our spouse and loved ones. It’s a pivotal element for many people in passing along their wealth to the next generation. CPAs play an important part in our personal lives, especially come tax time. While a good accountant will help you to keep more of the money you earn, his or her contribution can be of lifetime importance. The learned CPA may know more about the tax code than any other member of your professional team and their insights are essential every time the tax code changes in Springfield or Madison and in Washington D.C.
We hope and trust you will find that the Proven Professionals you are about to meet can provide invaluable assistance to the success of your mission … on both the personal and business fronts. The Crosby Law Firm, P.C., through its predecessor law firm, has been serving the citizens of northern Illinois since 1981 and has helped thousands of everyday people find clarity in haze that is our legal system. Over the years, The Crosby Law Firm has established a service oriented culture that starts with our amazing staff. 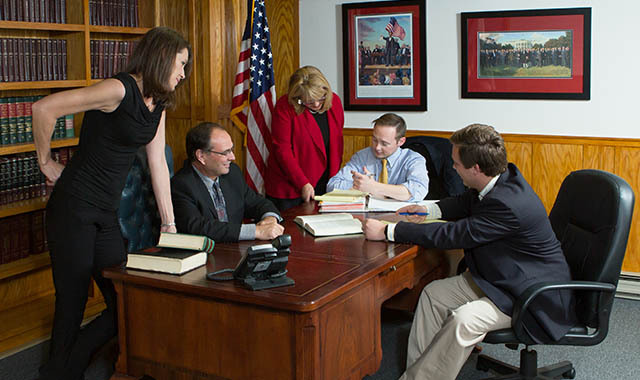 Our law firm believes in the adage, Local Roots, Lasting Strength. We believe that when we serve the community we belong to, we all benefit. It is our clients and our community who have made us into the law firm we are today, nearly 40 years after our doors first opened. Nearly 40 years ago, Attorney Michael Crosby opened those doors after running his father’s congressional campaign. 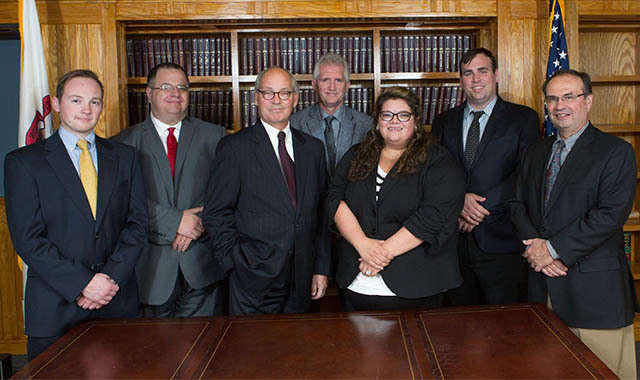 Since then, Mr. Crosby has been working diligently to establish The Crosby Law Firm as one of the largest general practice law firms in the Stateline area, currently employing seven attorneys and nine staff members. The Crosby Law Firm’s general practice services numerous practice areas and types of law, but its most predominate practice areas are: Estate Planning, Probate, Family Law, Criminal and Traffic Law, Personal Injury Law, Corporate Law, and more. Though the office serves many areas of law, it focuses on severing the person behind the issue, no matter the practice area. The people are our priority, which is why our motto is Protecting You. We believe that is the number one job description of an attorney. No matter the area of law you are dealing with, The Crosby Law Firm wants to be right there with you, Protecting You! The Crosby Law Firm also puts an emphasis on serving the community outside of our doors. Our employees are from this community. We are your neighbors. Our kids are your kids’ classmates. Our friends are your friends. That is why we put such an emphasis on serving the community outside of our workday. Our office has been involved in a number of community events and local charities. Most recently, the second generation Crosby to work with us, Attorney Tyler Crosby, has been asked to serve on the board of directors for two charities in our community, Stateline Youth for Christ and Shatter Our Silence – you can find links to both websites on our website and Facebook page. If you would like to join us in serving either of these causes, please do not hesitate to contact us! The American Law Firm, P.C., is a Personal Injury law firm in the Stateline area. Our law firm is dedicated almost solely to Personal Injury law, with its managing attorney, Mark D. Brynteson, having nearly 30 years’ experience in medical malpractice, auto accident, and premises liability cases. Attorney Brynteson embodies the excellence to which The American Law Firm is dedicated. This excellence inspires our name, The American Law Firm, because it is excellence that has come to define the principles that our nation is founded upon. Before Mark moved back to the Stateline area, where he grew up, he distinguished himself as one of the outstanding trial lawyers in the Tidewater area of Virginia. During his first year of practice, he was a key member a litigation team that won a $5 million wrongful death verdict in the Chesapeake Circuit Court. Since then he has continued to achieve successful results for his clients, now more than $30 million dollars. Mr. Brynteson also represents not-for-profit organizations. He was the Chief Operating Officer and acting Chief Financial Officer of two large multi-million dollar NFPs for eight years. One of these entities operated two radio stations, six HUD 202 retirement centers, and a K-12 school. The other aired weekly TV and radio shows on multiple media outlets. He also implemented risk management programs that promoted a safe environment for customers and reduced annual insurance premiums by $25,000. The American Law Firm is dedicated to the principles of its namesake, our nation. We believe that each client is entitled to the rights bestowed upon them by our Constitution and that each client deserves a zealous defense of those rights. It is our dedication to the principles of life, liberty, and the pursuit of happiness that drives our staff, day-in and day-out to fight for you. If you’ve been hurt in an accident, call The American Law Firm today and allow us to fight for your rights. Esmeralda Orenday, and Gail Borrison. 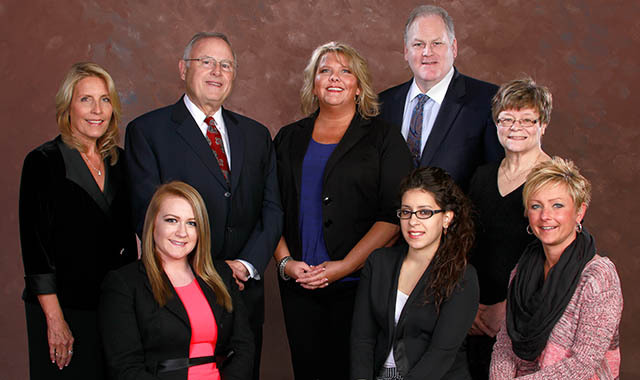 MacCloskeyKesler and Associates, LLP, is a leader in personal injury law in the Rockford area. 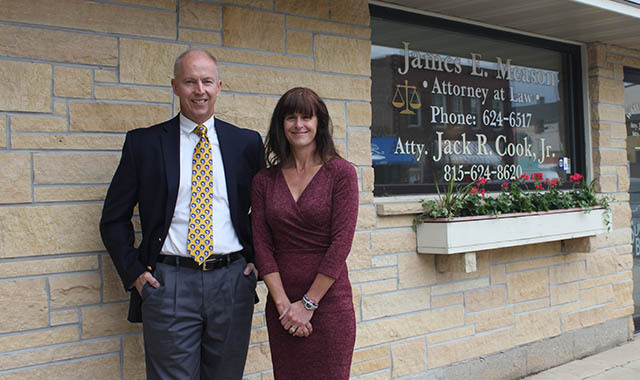 The firm has been serving injury victims since 1998, when Kim MacCloskey founded the firm. In 2004, Phil Kesler joined Kim in his quest to handle every case like his own. The firm has grown, but the emphasis on compassionate, personal injury representation remains. 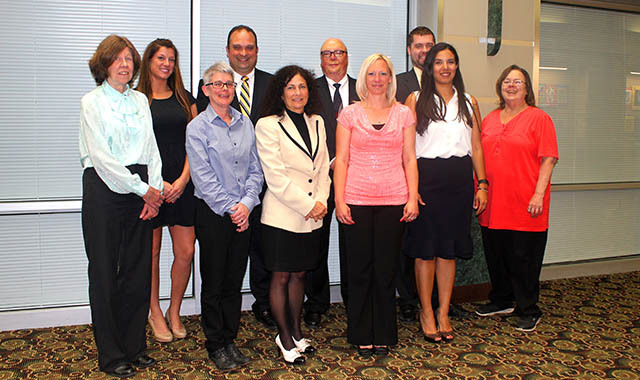 The firm has been privileged to receive numerous awards, most recently receiving the “Best of the Rock River Valley” award for both law firm and personal injury lawyer, based on votes from local community members. The firm has many million-dollar and multimillion-dollar settlements and verdicts to its credit. Kim and Phil are both members of the Million Dollar Advocates Forum and the Multimillion Dollar Advocates Forum. The best reward for Kim and Phil, however, comes from helping injury victims find peace during difficult times. Kim and Phil credit their staff and clients for their success and awards. The staff at MacCloskeyKesler and Associates is well-trained and dedicated to providing personal attention to their clients. Much of the staff has been with the firm for over a decade, and clients routinely refer friends and family when they’ve been injured. Kim and Phil see this as the highest honor. MacCloskeyKesler and Associates continues to grow and succeed. Despite its success, its dedication to providing experienced representation and personal attention to each case remains the same. With this in mind, MacCloskeyKesler & Associates only handles personal injury cases and does not represent insurance companies. Because of the firm’s reputation, most cases settle without trial or without even the need to file a lawsuit. If you have been a victim of someone else’s negligence, contact MacCloskeyKesler and Associates for a free consultation at (815) 965-2000. 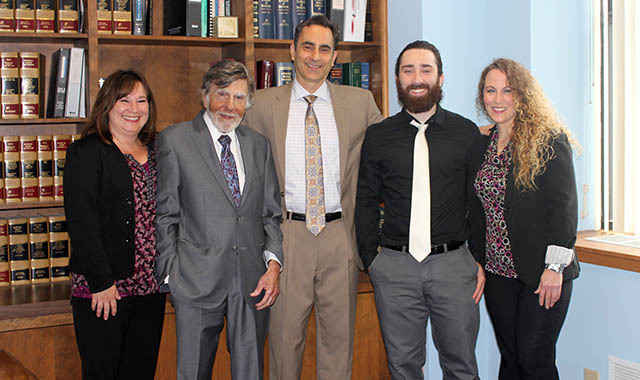 More than 50 years ago, Fabiano Law Offices was established by Anthony Fabiano, and at one time all of his children have worked there. His daughters, Janon Fabiano and Lisa Fabiano, left the firm for different careers. Janon works for the Attorney General’s Office in Chicago and Lisa is a Circuit Court Judge. In 1996, Thomas Fabiano left a large firm in Chicago to return to his roots, practice law with Anthony and raise his children – Jamie, Maya, Olivia and Sophia – with his wife, Seema. 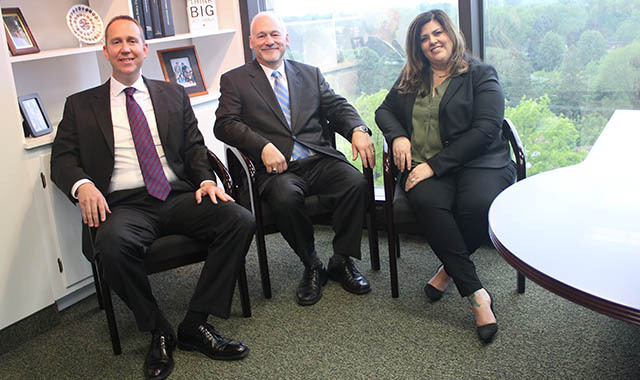 Today, Anthony and Thomas have two other lawyers affiliated with the firm and a highly capable staff comprised of Tonsha Carter, Liz Gamache and Koty Stannard. The firm specializes in representing people who are injured due to another’s wrongful conduct. Through their efforts and tenacity, these lawyers have been successful in getting the YMCA to change its safety policies, making the facility safer for members; getting a water ride dismantled and replaced with a safer ride for the residents of Winnebago County; and holding Gander Mountain and a Chinese corporation responsible for producing and selling a defective tree stand product. It’s not uncommon for Anthony or Thomas to receive phone calls at home from their clients, and they would not have it any other way. “We know our clients suffer through difficult times, and we want them to know we are there for them,” says Thomas. 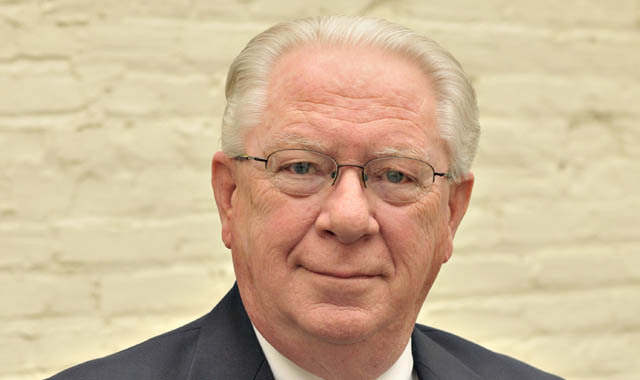 Robert E. Canfield has more than 35 years of experience as an attorney. He and his associates are well versed in the law and persuasive in the courtroom. They can handle your family law, small business, probate, estate planning, traffic and criminal matters. They’ve got all the right qualifications, but we’re guessing you’re looking for something more. You’re probably looking for someone who understands that your divorce is not just about separating property and accounts but about your life being turned upside down. You’re looking for someone who can see that you would do anything for your kids and that you won’t play games when it comes to their best interest. You’re probably looking for someone who understands that your small business is more than just business, it’s personal; and you want to protect all the blood, sweat, and tears you’ve poured in over the years or expect to. You’re looking for someone who understands what it’s like to worry about what will happen when it’s your time to pass on and how to provide for the loved ones you leave behind. At Robert E. Canfield & Associates, we look at the law and facts and how it affects our clients. Chances are, if you need an attorney, you are going through a tough stage of life. That’s why we make it our mission to help our clients achieve their goals and to help them understand every step in the process. Our attorneys and staff are compassionate, knowledgeable, patient, and understanding. But we are also fiercely protective of our clients’ interests and won’t back down when the time comes to fight. Trust between a client and attorney is absolutely essential to good representation. We offer a free 30-minute consultation to allow you to get a feel for our attorneys and whether we’d be the right fit for you. If you mention Northwest Quarterly when you call, we will offer you an additional 30 minutes free. We also understand just how expensive legal proceedings can become so, in some circumstances, we offer payment plans to help our clients afford our representation. Our clients come back to us again and again when they encounter a need for legal help. Find out why they believe in us by making an appointment today. James E. Meason earned his law degree from American University. He served 28 years in Naval Intelligence, retiring with the rank of Commander in 2016, after a tour in Afghanistan. 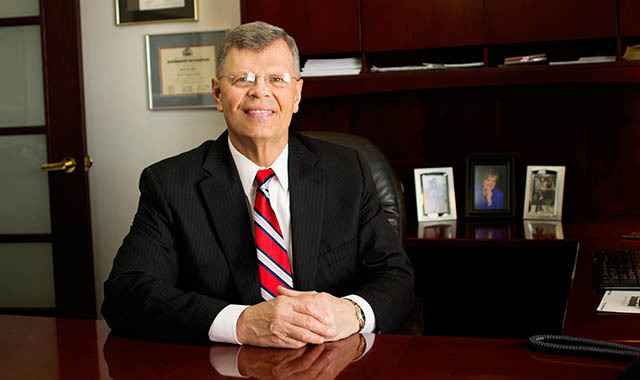 Meason opened his Rockton, Ill., office in 1997 after working as a federal regulatory enforcement attorney in Washington, D.C., and practicing environmental law with a major national Chicago-based firm. Meason still handles environmental cases, but for more than two decades he’s focused on family and business law, estate planning and real estate. A resident of Rockton and a father, Meason values community involvement. He volunteer coached for several team sports and has served on the local Board of Education and Prince of Peace Lutheran Church Council. Paralegal Tess Whitaker earned a Bachelor of Science in Legal Studies from Post University and is a State Certified Mediator, having completed the 40-hour training program from the Center for Conflict Resolution (CCR) in Chicago. Additionally, Tess has a psychology background and continues to attend classes for both law and psychology. Tess and her husband, Don, are raising five boys and are actively involved in community and school programs such as Roscoe Rockton Lions; Hononegah athletics and Stateline Thunder Baseball. Meason and Whitaker serve clients in Winnebago, Stephenson, Boone and McHenry counties. Reilly Law Offices was established to provide legal representation and problem-solving skills through a teamwork environment involving the client, attorney, and professional staff. To help our clients conquer legal challenges and achieve personal and business goals, we pursue our principle of Quality Law ~ Personalized Service in all areas of our legal practice. We take pride in the continuing relationships we enjoy with our clients, having conscientiously represented many clients for more than 30 years. Quality legal representation requires technical competence supported by experience, understanding, perspective, and awareness of your needs and expectations. At Reilly Law Offices, we are dedicated to treating your legal challenges as our own personal challenge. To that end, we commit our personal energy, expertise, and experience to produce the very best legal outcome for you. For, at the end of the day, your success is the only meaningful measure of our own. Contact us for any of our principle areas of practice: Business Law, Real Estate Law, Credit Union and Banking Law, and Estate Planning. Alpine Trust & Investment Group is a team of trusted financial advisors focused on helping individuals, families and business owners address their unique wealth management goals and wealth transfer wishes. Our commitment is defined by three core attributes: accessibility, comprehensiveness and experience. It starts with accessibility. We present our clients with regular communication and educational information specific to their circumstances in a clear, understandable manner – we understand that although we speak this language every day, you may not. We are local professionals here to guide multiple generations through the wealth transfer process, and our team of dedicated professionals treats every client with genuine care and compassion in meeting their financial goals and objectives. The approach is comprehensive. We are driven by what is most important to our clients. We begin with listening and understanding their needs, uncovering what financial security means to them, and setting financial priorities. Once your plan is determined, appropriate strategies are put in place. We regularly monitor your progress, examine results, and make adjustments, seeking to manage your financial situation over time. A team that’s built on experience. Professionalism and independence are hallmarks of our organization and have formed the foundation of our client partnerships since 1945. Our team has been built with a holistic approach, providing you with experts in investing, trust administration, retirement planning, insurance and legal components of the wealth management process. We are independent advisors who provide to our clients unbiased recommendations and custom financial solutions to navigate through life’s transitions. Investment and insurance products are: not FDIC insured; not guaranteed; and, may be subject to investment risk, including possible loss of principal. Left to Right: Jeffrey A. Krogh, Senior Vice President/Investments; Jim Sirianni, Branch Manager, Vice President/Investments; Jeffrey S. Luedke, Senior Vice President/Investments; John O. Nysather, Senior Vice President/Investments; Kenneth A. Mannino, Senior Vice President/Investments. Stifel is a full-service wealth management and investment banking firm established in 1890 and based in St. Louis, Missouri. The company provides securities brokerage, investment banking, trading, investment advisory, and related financial services through its wholly owned subsidiaries to individual investors, professional money managers, businesses, and municipalities. Individual, institutional, corporate and municipal, our commitment is to listen and consistently deliver innovative financial strategies. Putting the welfare of clients and community first, we strive to be the advisor of choice in the industry. Pursuit of excellence and a desire to exceed clients’ expectations are the values that empower our company to achieve this status. At Stifel’s Rockford office, we believe in doing business face-to-face. We want to understand your unique financial objectives so that we can develop a strategy specific to your needs and long-term financial goals. Whether you want to plan for retirement, save for your children’s college education, reduce your tax bills, or increase your income to meet monthly expenses, you can expect personalized, professional service, and advice. The Rockford Branch of Raymond James & Associates opened in May 2005. Our advisors are committed to you and your financial future. At the heart of every financial plan is a person like you, so that’s where we put our focus. After all, it’s your investments – in your career, in your family and in your future – that we are striving to protect and your goals that we’re building toward. It’s only logical, and only right, that you be at the center of every recommendation we make. In 1962, Bob James set out to build a different kind of financial services firm – one that put people, planning and principles first.And now, more than 50 years later, Bob’s different kind of firm is one of the leading financial services companies in the United States. 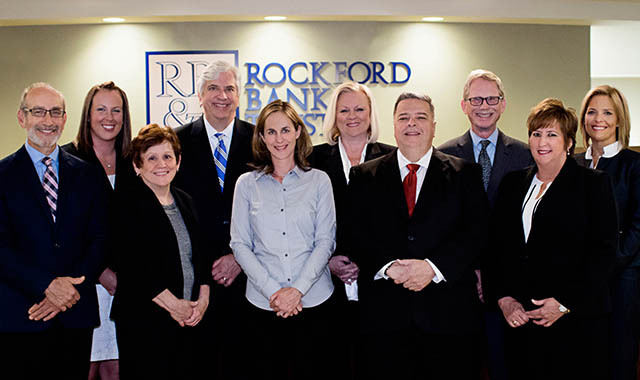 In keeping with our firm’s core values, the Rockford Branch is committed to supporting and giving back to our community while serving our clients. Palmer Klaas is a Certified Financial Planner™ and independent advisor who has been working for nearly 42 years on behalf of his clients to earn his reputation for integrity and professional experience. He has a passion for helping people to achieve their investment objectives by building and refining their portfolios. At Palmer Klaas Financial Group, our mission is to provide a personalized financial plan. This plan is like a roadmap that reflects one’s unique needs and goals – a meaningful resource to aid in guiding them as they navigate the many aspects of their financial lives. Social Security expertise including a Social Security Analysis Report. Do I have a long-term financial plan? Do financial worries keep me up at night? Am I moving toward meeting my personal goals and objectives? Securities offered through Regulus Advisors, LLC. Member FINRA/SIPC. Investment advisory services offered through Regal Investment Advisors, LLC, an SEC Registered Investment Advisor. Regulus Advisors and Regal Investment Advisors are affiliated entities. Palmer Klaas Financial Group, LLC is independent of Regulus Advisors and Regal Investment Advisors. CYRS Wealth Advisors is a specialty financial planning, retirement and wealth management firm based in Rockford. As an independent, conflict-free firm, CYRS maintains no obligation to any banking institution, Wall Street firm or fund complex. CYRS’ advisors are focused on growing, enhancing and protecting assets and clients’ financial outcomes. “What we do” is defined in terms of a client’s success. “It has never been about us, but rather what is important to the customer,” says David M. Cyrs, company founder. A high percentage of our clients are physicians, entrepreneurs, business owners and people nearing retirement. We have a deep insight into corporate benefit and health plans, with more than 23 years of specialty experience in the design and management of retirement plans. Listening, organizing and defining priorities are essential parts of the CYRS process-driven approach, which helps to reflect each client’s unique interests and goals. We evaluate all of a client’s financial aspects, including investments, insurance risk management, retirement, charitable giving, wealth transfer and legacy planning. We gain a thorough understanding of needs, concerns, opportunities and goals. We critically review financial implications and synthesize a structured plan – which we monitor and manage for clients. Wealth is about more than money. It’s also about values, peace of mind, confidence, helping others and improving life’s outcomes. Our philosophy is to guide, educate, protect, coach, facilitate and coordinate. David M. Cyrs, CFP® & AIF®, has more than 25 years of experience in executive-level financial planning and capital management experience. The founder of CYRS Wealth Advisors has expertise in investment planning, wealth management, tax planning, retirement income solutions and 401(k) plan designs. John P. O’Connor, AAMS® and AIF®, has been working with individuals and families for more than 10 years, with a focus on growth and protection of client assets and lifestyles. His specialty is in structuring investments and insurance solutions. Securities and advisory services offered through Commonwealth Financial Network, Member FINRA/SIPC, A Registered Investment Adviser. Fixed Insurance products and services through CYRS Wealth Advisors, LLC or CES Insurance Agency. When it comes to your financial future, your goals and objectives are as unique as you. You don’t want a one-size-fits-all, cookie-cutter solution, and at Rockford Bank & Trust Wealth Management, we don’t offer one. Instead, we take the time to truly get to know you and how you envision living your life. Our team of experienced and credentialed financial experts is focused on understanding your needs. Once we understand your goals and objectives, we tailor a solution from our comprehensive wealth management offerings that is designed specifically for you. It’s the best way to build a plan for a strong financial future, and it’s what you deserve. When combined with the ease and flexibility of working with a locally owned community bank, we can provide you with world-class wealth management solutions from private banking, financial planning, retirement planning, and trust and investment management. 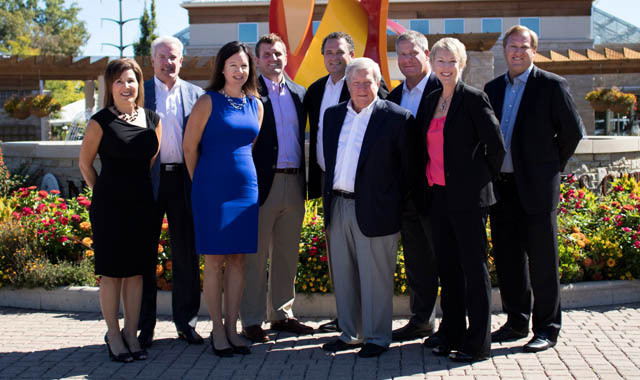 As your wealth management team, we put your interests at the center of everything we do. A Wealth of Experience . . . combined with a personal touch. It’s what you need to make your financial dreams a reality, and it’s brought to you by Rockford Bank & Trust Wealth Management. 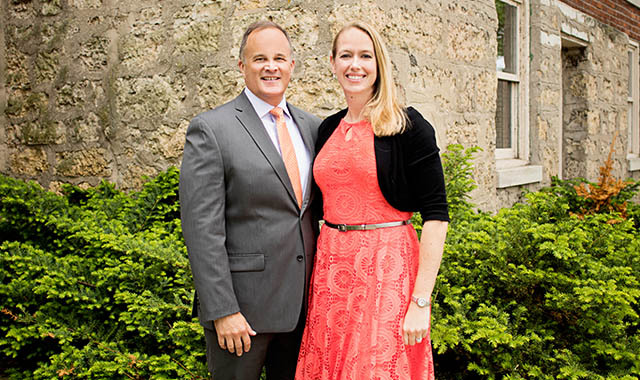 Michael White and Kristine White, financial advisors at Waterside Financial Advisors in Rockford. Do you picture yourself owning a new home, starting a business or retiring comfortably? These are a few of the financial goals that may be important to you, and each comes with a price tag attached. That’s where financial planning comes in. Financial planning is a process that can help you target your goals by evaluating your whole financial picture, then outlining strategies that are tailored to your individual needs and available resources. Best of all, you’ll know that your financial life is headed in the right direction. We believe many people lack professional guidance in today’s complex financial world. We also believe people are busier than ever and desire simplicity. Let us show you a better way, by introducing you to our approach to comprehensive financial planning. With our professional team on your side, your financial goals evolve from a general strategy to a fully integrated plan of action, using our diverse skills in financial planning, investment management, insurance, tax and estate planning strategies. Our four-step approach to serving clients includes creating a personalized financial plan; reviewing protection needs such as insurance, wills and trusts; determining how much you need to save and where to invest; and maximizing retirement income with tax-efficient distribution strategies. Our financial roadmap takes into consideration all of your accounts, no matter where they are held, and it will illustrate the likelihood of progress in funding your goals. The plan we create then leads us to the appropriate products and services to help protect, accumulate and distribute your assets. At Waterside Financial, we take money management seriously. We build customized portfolios appropriate for your goals, while aiming for expected returns for a given level of anticipated risk. Next, we identify the items we can control, such as minimizing expenses, taxes and risk. You’ll have access to CPAs and attorneys who can help from a legacy planning perspective. If you see wisdom in a financial planning approach, we should talk. Call Michael White or Kristine White at Waterside Financial Advisors LLC, in Rockford, or visit us at WatersideAdvisors.com. Securities and investment advisory services offered through Voya Financial Advisors, Inc. (member SIPC). Waterside Financial Advisors, LLC, is not a subsidiary of, nor controlled by, Voya Financial Advisors. More than a financial planning firm, we are truly committed to being a “trusted advisor” and a valuable partner in your financial plans. We help you develop a financial program that is custom-tailored to your financial goals, needs and situation. If you find yourself at one of life’s crossroads – facing retirement, a career change, the sale of a business, recently widowed or divorced – we can help you sort through your options to choose the appropriate strategy for your needs and situation. Working with you, we can help to design your investment and retirement portfolios to reflect your personal values, morals and beliefs. We also specialize in assisting nonprofit organizations, such as churches and other charitable organizations, to meet their financial needs and future goals. We seek to understand your wants and goals and will work to provide financial solutions based on your core values. In essence, we enable you to put your money where your heart is, as you invest intelligently to meet your goals. What a relief, this time it’s not about the birds and the bees! No, this time it’s about mom and dad’s later years: what plans they have made for where they will live, the care they wish to receive, and who will make those decisions if they are not able to make them on their own. When should this “talk” take place? The best time is NOW, because it can become too late very suddenly. If you delay and a health or lifestyle event suddenly happens, many choices regarding living arrangements and health care will no longer exist. All parties that should be involved in this “talk” are reluctant to initiate the discussion. Parents don’t want to burden the kids or give up control of their lives. Kids don’t want the parents to think that they’re trying to nose into the parents’ business. Repeated studies have shown that 70 percent of people age 65 or older will need long-term care services at some point during the remainder of their lives. Most people prefer to receive this care in their home, if it is a viable option. The home may need to be made more accessible, with changes made to the bathroom, doorways and perhaps stairs. The cost for a licensed home health care aide can range from $13 to $19 per hour. Care in an assisted living facility is $38,000 to $43,000 per year. A private room in a nursing home can cost more than $81,000 each year. Yes, there needs to be a financial plan to address these potential costs. There are some legal issues that need to be discussed and addressed with the family members, a trusted financial advisor and the parents’ attorney. Parents, first have the discussion with each other. There are most likely many options and choices regarding your future years that you should consider and talk about. Have meetings with your trusted financial and legal advisors – they have the benefit not only of technical knowledge, but also experience. You may want to revisit the “talk” as time and circumstances cause your situation to change. New or additional choices may become available to you. Hesitation and procrastination are not your friends. Prepare for and have “The Adult Talk.” Your family will love you even more for your initiative and planning. Securities offered through Regulus Advisors, LLC. Member FINRA/SIPC. Investment Advisory Services offered through Regal Investment Advisors, LLC, an SEC Registered Investment Advisor. Regulus Advisors and Regal Investment Advisors are affiliated entities. 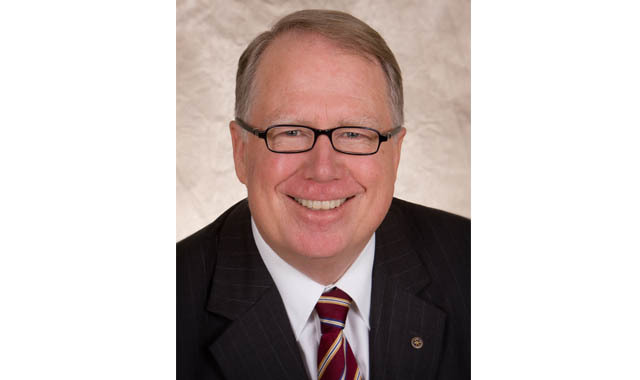 Under the leadership of Herb Allen, MainStreet Financial Group offers a holistic approach in financial planning. Herb believes in continuous financial education of both our clients and our community. Earning advanced graduate degrees in human services, management and psychology has allowed Herb to bring a “human side” and “more than the money” philosophy to the practice he began in 1991. Herb is often called upon by Rockford media as a financial expert, having earned financial industry recognition as: Fellow of Life Underwriting Training Council, Chartered Retirement Plans Specialist, Registered Financial Consultant, and service as a State Director of the Illinois Association of Insurance and Financial Advisors. 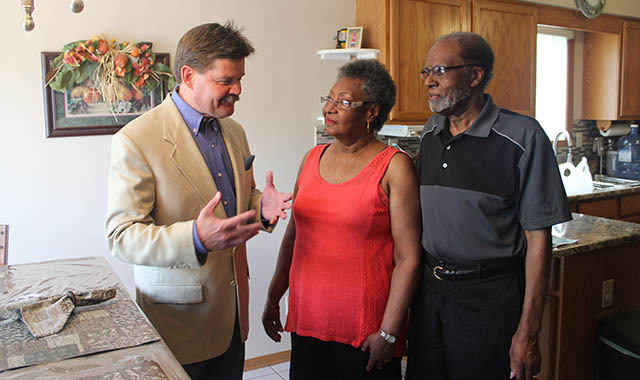 This unique background of financial expertise and client empathy has allowed Herb and his partners to build a 26-year track record of growing successful financial plans for Rockford-area families and businesses. We believe the cornerstone of financial success is a carefully thought-out financial plan – a plan that has specific goals and only uses appropriate investment tools custom-tailored to meet your objectives. As a local independent firm, we will take the time necessary to get to know you, your family and your current financial situation. We are fully prepared to assist you in creating and implementing a personalized strategy to meet your financial goals. Together, as partners, we look forward to working with you to achieve your vision of family legacy and financial stewardship. MainStreet Financial Group is an independent firm with securities offered through Summit Brokerage Services, Inc., Member FINRA, SIPC. Advisory services offered through Summit Financial Group, Inc., a Registered Investment Advisor. For a comprehensive review of your personal situation, always consult your legal advisor. Neither Summit Financial Group nor any of its representatives may give legal advice. 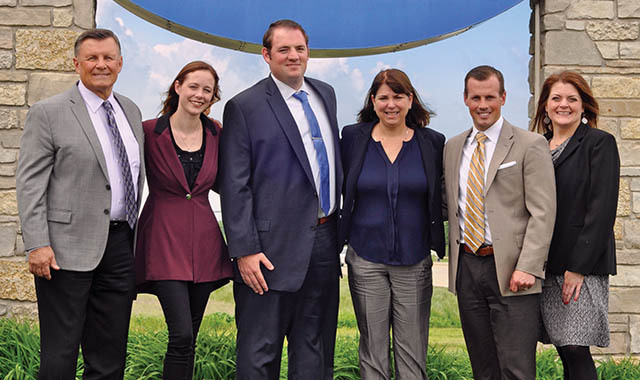 Left to Right: Craig M. Klaas, Founder, Investment Advisor Representative; Melissa Wenger, MBA, Investment Advisor Representative; Kyle Kite, CFP®, MBA, Investment Advisor Representative; Maleeah Cuevas, CEO, Investment Advisor Representative; Craig J. Klaas, President, CFO, Investment Advisor Representative; Stephanie Shields, COO, Financial Representative. 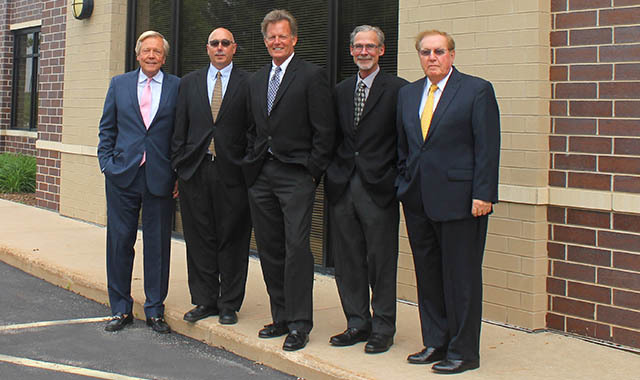 Founded locally in 1976, Klaas Financial has expanded into a multi-generational, SEC-Registered Investment Advisory firm with offices in northern Illinois and southern Wisconsin. As “Retirement Planning Specialists” we’ve developed multiple divisions of specialized services centered around helping our clients plan for and maintain a successful retirement, including KIP: Klaas Investment Portfolios (Fee-Based Asset Management); Klaas 360 (Fee for Service) and Klaas 401K (Fee-Based Retirement Plans). Whether you are looking for a coach, quarterback or both, we are on YOUR team, helping you to achieve your retirement goals. Planning TODAY for YOUR Retirement involves education, an intentional game plan and coordination of many moving parts. We have a trained team of professionals ready to help you achieve the retirement you’ve always dreamed of having. What are you waiting for? Isn’t it time to get in the game? Try us out by listening to our popular radio show “Money in Motion,” with C.J. Klaas and Maleeah Cuevas, on Thursday mornings from 8:05-8:35 a.m. on Madison’s 1310 WIBA radio station. You can also check out these podcasts on iTunes, iHeart Radio or online at klaasfinancial.com/podcast. Securities by licensed individuals offered through Investacorp, Inc. A registered Broker/Dealer – Member FINRA/SIPC. Advisory Services Offered Through Klaas Financial Asset Advisors, LLC – an SEC Registered Investment Advisory Firm. Klaas Financial Asset Advisors, LLC is not affiliated with Investacorp, Inc.
Fs an Edward Jones financial advisor, I believe it’s important to invest my time to understand what you’re working toward before you invest your money. It’s also important to understand the level of risk you’re comfortable accepting when investing, so we can balance it with the steps necessary to reach your long-term goals. We can also monitor your progress to help make sure you stay on track or determine if any adjustments need to be made. Throughout it all, we’re dedicated to providing you top-notch client service. But we’re not alone. Thousands of people and advanced technology support our office so we can help ensure you receive the most current and comprehensive guidance. 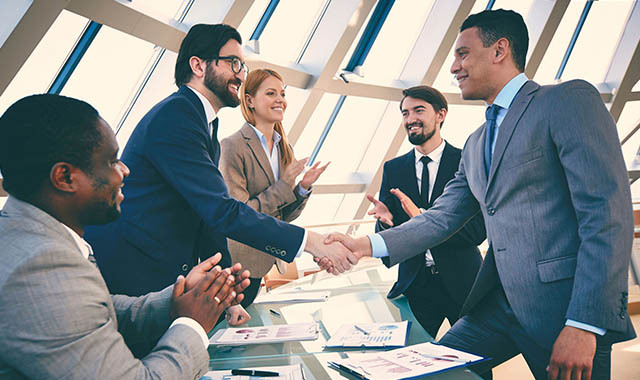 In addition, we welcome the opportunity to work with your attorney, accountant and other trusted professionals to deliver a comprehensive strategy that leverages everyone’s expertise. 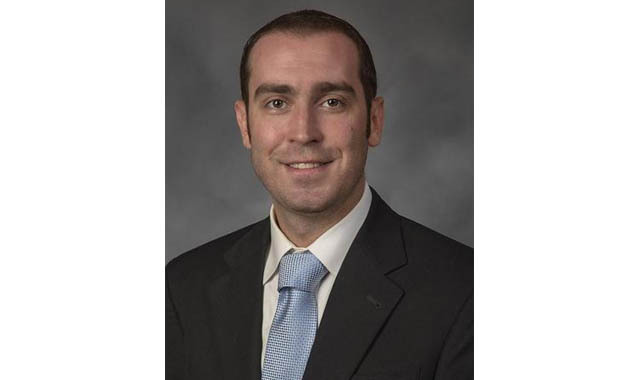 Christopher J. Leeser, of Leeser Insurance Services, LLC, in Loves Park, Ill., specializes in Final Expense Funeral and Crematory Life Insurance. He’s photographed here with James and Stella Marshall, clients since 2009. Many Americans believe that Social Security will pay for their final expense needs. However, the government only pays a lump sum of $255 for those who qualify (Source: U.S. Social Security Administration, July 2013). • You are fully protected from the very first day your policy goes into effect. • Been declined before? Leeser specializes in all health conditions. CoyleKiley Insurance Agency is the region’s leading, locally owned, independent agency specializing in commercial insurance, personal insurance, executive planning, employee benefits and wealth management. We’re licensed to conduct business throughout the United States, so our agency works with more than 30 of the best insurance companies in the world. Each one carries a minimum “A” financial strength rating by A.M. Best, a standard that comforts both us and our clients. We’re recognized for our outstanding customer service and have been for many years. Our goal is to simplify the process for you, our client. You can go to multiple agencies or carriers for different insurance needs, but you’ll have to juggle two or three agents and have the same conversation over and over again. When you come to us, we have the time-saving ability to market different policies, with all of our carriers, at one time, for your benefit. This allows us to effectively overview your options in carriers, coverages, deductibles, payment plans and more. We help you to decide what the best plan is for you. We’re not the insurance carrier; we’re your insurance advisor. We represent your needs. When you choose CoyleKiley, we not only provide traditional insurance solutions. As your consultant, we also review your insurance and financial priorities to provide a customized plan that will assist you in taking advantage of changing times and new risk protection solutions. 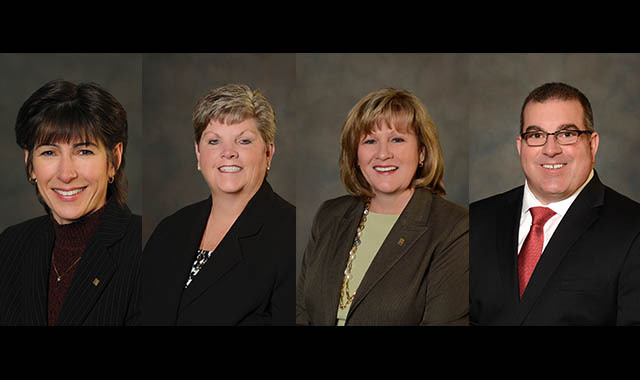 Throughout CoyleKiley Insurance Agency, we believe strongly in maintaining our core values of integrity, honesty and professionalism. 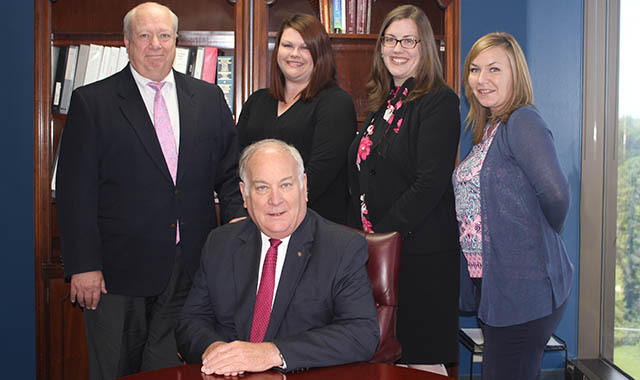 Our internal perpetuation of Coyle-Varland Insurance Agency means our firm is built upon more than 60 years of industry knowledge and expertise. Now operating as CoyleKiley Insurance Agency, our firm delivers experts who have been in the insurance field for more than 30 years. We have an extremely strong foundation to our agency, and now we’re taking it to the next level with a group of younger professionals who will strengthen our legacy and growth. CoyleKiley Insurance Agency… we’re here to serve all your needs. Call us today. There are periods when you probably experience a decrease or increase in the value of some of your investment holdings, resulting in a shift in your optimal asset allocation. Here are some things you should know. When you started investing for your retirement, you decided which types of investments to include in your portfolio and how much to invest in each; however, an asset allocation isn’t static. Over time, performance differences can knock your original mix off balance. When this happens, you may be exposed to more or less investment risk than you had intended. You can restore your asset allocation by rebalancing. Rebalancing is very straightforward. Suppose your initial allocation called for 60 percent of your account to be invested in stock investments. After a couple of years of strong stock market returns, stock investments might now make up 70 percent of your account’s total value. To return to your original allocation, you’d transfer money from stock investments into investments holding the other types of assets that are now “underweighted.” Another option would be to direct your new contributions into the underweighted asset types until your original asset allocation is restored. You should review your retirement investments at least once a year and rebalance your account as necessary. You’ll feel more comfortable on the road to retirement knowing that your plan assets are well aligned according to your plan. 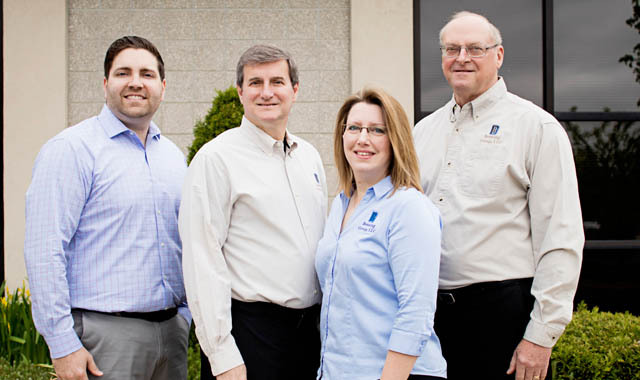 Left to Right: Jake Thompson, CPA; Curt Kleckler, CPA; Jenny Blocker, CPA; Don Benning, CPA. Benning Group LLC is a full-service traditional CPA firm with offices in northern Illinois (Freeport and Rockford) and southern Wisconsin (Monroe). Don Benning, CPA, and Curt Kleckler, CPA, worked together in the 1980s at the national accounting firm of Peat Marwick. The predecessor to Benning Group was formed in 1987. Over the past 30 years, our firm has developed a strong team of certified public accountants and supporting staff to meet the needs of a diverse group of small businesses and individuals. 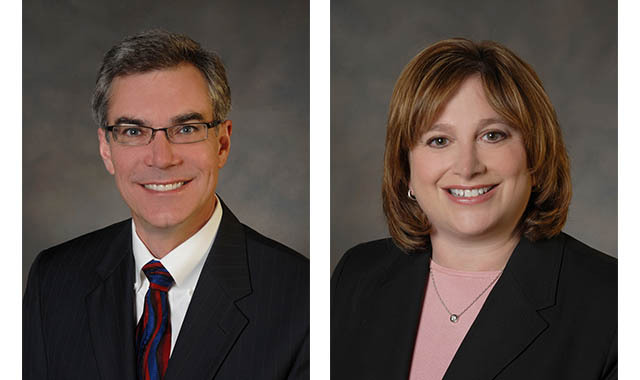 Benning Group expanded into Freeport with the acquisition of the auditing and tax practice of Robert Carlile and the addition of Jenny Blocker, CPA, as a partner, nearly 10 years ago. In 2016, Jake Thompson, CPA, was named a partner and the firm merged in the Rockford practice of Christy Bauers Perry. Our firm serves a wide range of manufacturers, retail stores, financial institutions, and other entrepreneurs and their businesses. We assist them in accomplishing their goals through various consulting services in addition to our in-depth knowledge of accounting principles, software solutions, and, of course, income tax laws and regulations. Over the years, we have also developed niche practices in the financial and compliance audits of Illinois school districts, employee retirement plans and nonprofit entities. As with most small firms, individual tax planning and tax return preparation are also a big part of our practice, with many of our professional staff of approximately 20 persons getting to know our clients personally while watching their families grow and needs change over the years. We take great pride in providing our services in a timely, responsive manner. Our “hands-on” approach in delivering services to our clients separates us from the larger firms, while the depth of our staff knowledge and experience sets us apart from other local firms. We strive to offer the best-quality service at the most reasonable price. 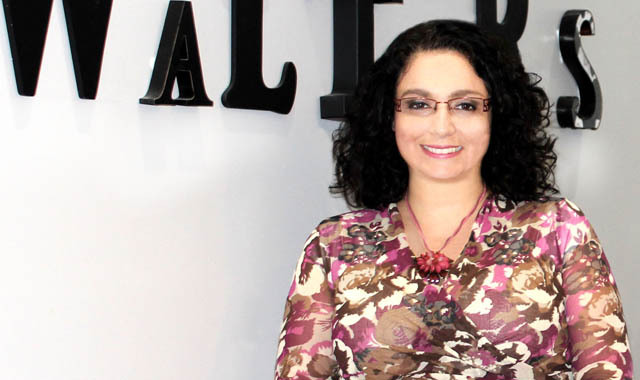 Silene Walters, CPA, MAS, president of Walters Accounting Inc., in Stillman Valley, Ill. Since our founding in 2006, we have grown steadily and rapidly, with a team of accounting professionals ready to serve a continuously growing business clientele. We offer a broad array of business-focused services including payroll, accounting, taxation, and consulting to help you to maximize cash flow, minimize liabilities and facilitate the growth of your business. We can deliver the services you need in a professional, accurate and cost-effective manner. We bring a particular focus to your payroll, bookkeeping and accounting needs to help you to simplify your business life. Based on our intimate knowledge of your business and our personal consultation with you, we can design a payroll service that is optimal for your company’s needs. Our state-of-the-art, cloud-based payroll processing service enables us to work collaboratively with you, customizing the system to meet your specific needs and allowing you to have as much, or as little, direct involvement with payroll processes as you like. Our fully secure, cloud-based payroll system handles check printing, direct deposit of paychecks, electronic tax payments, tax filings and compliance, and it generates a wide variety of payroll reports to help you to run your business efficiently. Because our system is cloud-based, it enhances productivity and security by streamlining document management and archiving, and by eliminating time-consuming and cumbersome data transfer processes. We take the time to understand your business needs, which is why we offer flexible, personalized service from our knowledgeable staff to produce a comprehensive payroll service customized for the specific needs of your business – one that includes check printing, direct deposit of paychecks, electronic tax payments and tax filings, and compliance. We ensure that you receive all of the payroll reports you need to run your business most efficiently and we equip you with personalized professional advice on all payroll matters. At Walters Accounting Inc., we work with you to maximize your business potential and strive to become your trusted business advisor. This entry was posted on Thursday, June 8th, 2017 at 12:00 pm	and is filed under Personal & Financial Strategies, Top Posts. You can follow any responses to this entry through the RSS 2.0 feed. Both comments and pings are currently closed.